"...The Chosen One entertains like a thriller on speed. It's a very enjoyable read, indeed." Margaret Marr, Paranormal Romance Author of The Grave Keeper series. 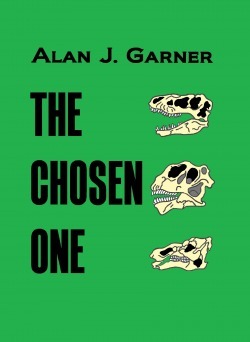 The Chosen One is set in prehistoric North America, 65 million years ago. Dinosaurs still rule the planet, however time is fast running out for them. Four light years distant in a neighboring star system a massive explosion sends an asteroid on a direct collision course with Earth. The rock is large enough to cause an ecological catastrophe, but could it really wipe out the dinosaurs? 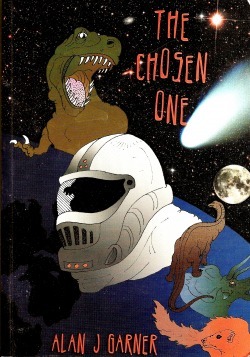 A humanoid alien suddenly appears on the scene to offer one of the doomed reptiles - the Chosen One - the opportunity to escape the impending destruction. But at what cost? "The Chosen One is good fun and well written." Iain Duffy, The Northern Advocate. 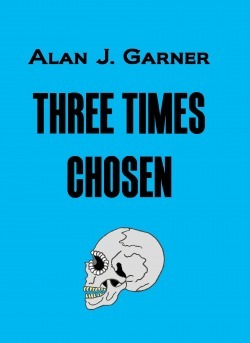 "Garner's skilful blend of fact and fiction will hold your attention." Dave Pope, HB Today. "...intelligent, enjoyable, very readable book." Aukon's Science Fiction Book Corner. "The Chosen One is traumatic, dramatic, and enjoyable to read." Book Reviews by Crystal Adkins. "I have read The Chosen One and enjoyed it very much. I thought it was well written and well crafted." C.D. Weyland, Onehunga, NZ. "I honestly recommend The Chosen One as well worth reading and look forward to further books from this author." Mrs P. Fuller, Queensland, Australia. "...an absorbing read for anyone who fancies a clever blend of myth, science, and fantasy." David Brown, Hawke's Bay, NZ. "Wonderful descriptions from a skilled wordsmith. A well written book." G. Woollett, East Sussex, England. "A really good read, roll on the movie!" B. Overend, Hastings, NZ. 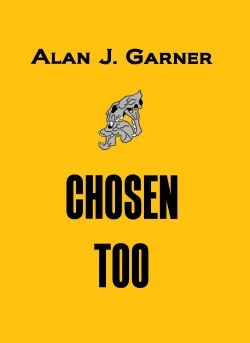 The Chosen One was my sole book to be published in print format. Sadly, it is no longer available. This is the finalised cover based on an earlier design of mine. Kidnapped by a reptilian stranger, a pride of sabretooth cats are transported lock, stock, and fleas back in time one million years to the arid plains of East Africa. The departing alien charges the remade cats with exterminating the apish ancestors of Man evolving in this era of prehistory, for they are the seedlings of the extraterrestrial humans the saurian warriors ruthlessly eradicated in earlier times, to their mutual detriment. 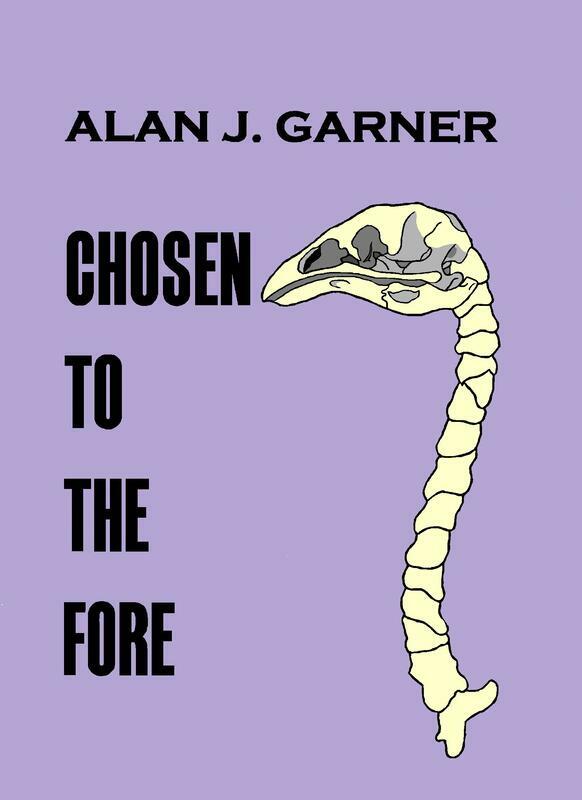 "Once again Alan J. Garner has achieved a masterful result by weaving a great tale...it was an absolute pleasure to read." Simone Outshoorn, Milford, NZ. "Chosen Too is fantastic. I liked the story a lot. I found it flowed well and once I started I couldn't stop reading. His story has extended my imagination and left me wanting to read more." Sonia Martin, Wolverhampton, UK. The future is flooded, the fall of human civilization partnering the risen sea levels. Taking to the oceans to survive, a bioengineered remnant of man lives a primitive, yet harmonious, life undersea in the tropics. But the Cetari are not alone in staking a claim to sapience on drowned Planet Earth. Challenging them is the numerically superior Piawro, a murderous race of humanoidal amphibians insanely jealous of the propserous Merfolk. "...a sensational fantasy novel which took me to a magical place full of interesting and wonderful creatures." Suzette Pecnick, Author. The three Chosen novels are now available in one handy volume. Buy the boxed set now at SynergEbooks. ​New Zealand is the land of birds. An aged moa hen and her stalwart Strider companion embark on a quest for enlightenment. Seeking the debatable counsel of seers, they traipse the length and breadth of North Island, only to discover she must petition their sworn enemy to bestow birdkind a fighting chance against the unavoidable pestilence fated to plague not only her forested home but every ecosystem in her island paradise.